Taking samples from ceiling tiles, walls and floor tiles for asbestos analysis. Submitting samples to laboratory and preparing a report. Thanks for the review, Alexandra. It was a pleasure working with you. I'm happy to see proactive homeowners, and I am happy to help ensure your safety during renovations. If you need anything else, you know how to reach me. Thank you! I’m doing whole house renovation and got Oliver’s contact from a neighbor, who was a happy customer of his. We end up very happy with Oliver too. He came on a short notice, gave us pretty valuable and professional info before and after thhe test, and charge very reasonable fees. Highly recommend! Thank you so much for the kind comments, Lin. It was a pleasure working with you. If you ever need anything please do not hesitate to contact me. I'm happy to help! And thank you for the record-time payment. Much appreciated. As emergency restoration specialists, we frequently run into situations where pre-existing mould is a concern. Our projects may involve residential or commercial clients where specialized testing and protocols must be addressed by a qualified specialist. Oliver is a certified professional and OGEE Solutions Inc. provides highly responsive service at a fair price. We would not hesitate to recommend them. Thank you PuroClean. OGEE Solutions Inc. is always ready to help so that projects move along as smoothly as possible. It is our pleasure to work with reputable companies such as PuroClean to ensure that homeowners get the job done right and safely! Ogee Solutions Incorporated has not added any photos. Mr. Oliver U. Gonzalez, P.Eng., President and CEO of OGEE Solutions Inc. has over 12 years of direct experience with the assessment and remediation of contamination in Ontario. Mr. Gonzalez’s experience encompasses the entire remediation process from on-site emergency site assessment to the managing of environmental teams that get the job done right and effectively. Mr. Gonzalez holds a degree in Civil Engineering from the University of Toronto with a Collaborative Environmental Engineering degree. He is a licensed Professional Engineer (P.Eng.) in the province of Ontario and also holds the accreditation of Certified Environmental Site Assessor – Phase I (CESA) from the Associated Environmental Site Assessors Canada (AESAC). Mr. Gonzalez has also completed certifications as a Certified Mold Investigator (CMI) and Certified Mold Remediator (CMR) through the National Association of Mold Professionals (NAMP). Over his career as a forensic engineer and regional manager of environmental services Mr. Gonzalez has addressed concerns brought forth by residential homeowners, insurers, installers and contractors that deal with environmental contamination of residential, commercial and industrial properties. Mr. Gonzalez has provided several opinion documents on the remediation approaches completed at fuel oil contaminated lands. OGEE Solutions Inc. was created with the final purpose to help rid the environment of potential threats from our anthropogenic influences. 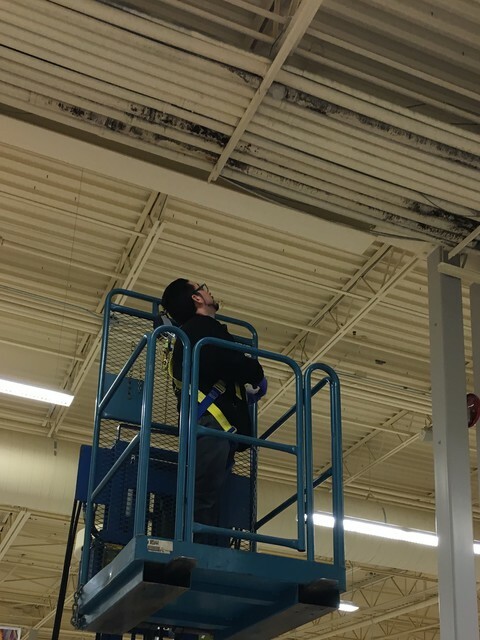 OGEE Solutions Inc. provides sampling of indoor air quality for mould, as well as bulk material sampling for asbestos and designated substances. We do not do the physical removal of these substances. The result of our work is an assessment of the indoor air condition, or material condition, and a scope of work for work to continue in a planned manner (with a contractor that does the physical removal of mould or other). If you already know you have mould, you will eventually need mould-removal contractor and contacting them first might be best. Similarly, if you already know you have asbestos, contacting an asbestos abatement contractor may be best. But if you are interested in finding out the indoor air condition of mould in your home (or a trouble area), or you'd like to confirm/deny the presence of asbestos or other designated substances, please contact OGEE Solutions Inc. and we can obtain the samples needed, assess the condition, and prepare a scope of work to get you on your way to a cleaner home.